Our facilities include seven electric wheels and a kick wheel, two large kilns and test kiln, damp-store, slab roller, moulds, decorative slips, underglazes, glazes and more. We use smooth white stoneware clay, Crank (Raku type clay) and Earthenware. What is Your Pottery Level? Completely new to Pottery -- Wed and Thurs evening beginner classes, Wed mornings and some Saturday workshops. Have attended one or two beginner classes -- repeat a beginner class with a different tutor - Wed and Thurs evening beginner classes, Wed mornings, Saturday workshops. Have completed a full beginners course &/or have sufficient knowledge of the basics of materials, tools & processes to launch into own projects with support and can work for much of the session independently -- Monday or Tuesday day studios or evenings, Wed or Thursday evening improver classes. Confident with own ability and skills and starting to develop own style -- Monday or Tuesday day studios or evenings, Wed or Thursday evening improver classes. N.B - Returning students, please note that once you have studied up to the improvers and advance levels and you have reached a level with your pottery where you are quite independent and develop your own style, please think about making the space available for new students to learn. The Folk House wants to offer the chance to as many people as would like to come and have a go and learn new things. 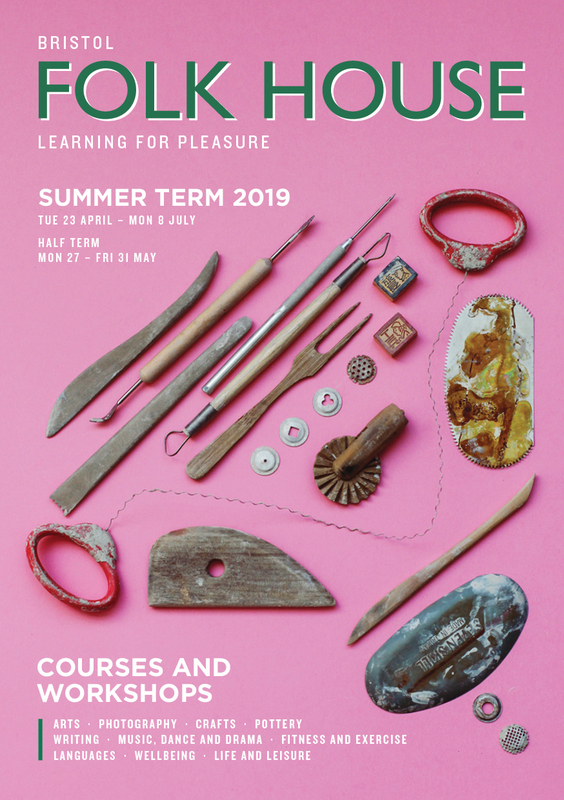 So we hope returning students will spread their wings and in your own studios elsewhere if they have developed beyond the teaching offered at the Folk House. Thank you.